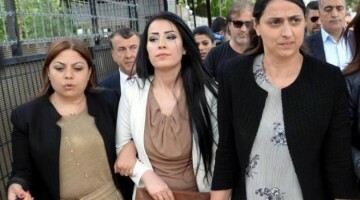 Urgent call: Save Leyla Güven’s life! 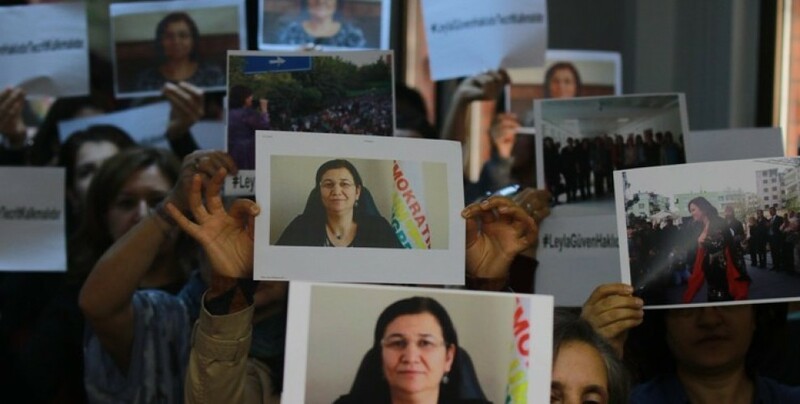 The International Women's Initiative published a declaration expressing solidarity with Kurdish politician Leyla Güven who is on the 80th day of hunger strike against the isolation of Kurdish leader Abdullah Öcalan. 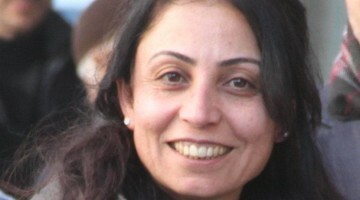 Leyla Güven, a prominent Kurdish activist and democratically-elected member of the parliament of Turkey, was arrested on 22 January 2018 for her criticism of the Turkish army’s invasion of Afrin in Northern Syria and for other statements she has made as a Kurdish politician in Turkey. She was facing 31 years and six months imprisonment for representing her people. Leyla Güven played an important role not only in the struggle for peace and democracy in Turkey, but also in the struggle for the liberation of women as a necessary condition for democracy and peace. 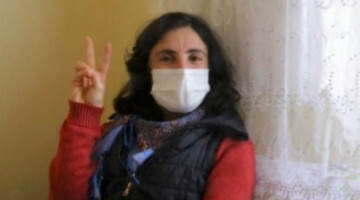 In prison, Leyla Güven began a hunger strike on 8 November 2018 in protest of the torturous isolation imposed on Abdullah Öcalan on Imrali Prison Island. Now her situation has reached a critical stage, a stage at which addressing her situation can no longer be delayed, ignored or neglected by the international community. She has various health problems such as aphasia, sensitivity to sound and light and blurring of consciousness. 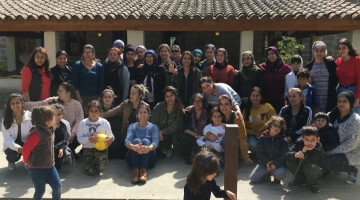 Due to international solidarity efforts and growing pressure on the government, Leyla Güven was released on 25 January 2019. Shortly after, she declared that since her demand had not been met, she will continue her action. It is time for the European states to enact policies that recognize the political, social, cultural and human rights they refer to, so that they can give a significant contribution to peace efforts. Turkey has still strong political, institutional, military and economic ties with Europe. Therefore, Europe still has significant influence over Turkey. While European institutions have issued harsh criticism over Turkey’s sharp turn towards authoritarianism, they have nonetheless fallen short of taking any meaningful action to pressure the Erdoğan government. This allows the autocratic government of Turkey to deepen its ongoing erosion of human rights and the rule of law in the country. 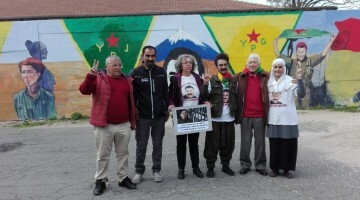 In particular we call for an immediate end to the isolation imposed upon the Kurdish People’s Leader Abdullah Öcalan and all political prisoners in Turkey. As members of the International Women's Initiative for Leyla Güven, we call on the European institutions, including the Council of Europe (CoE), CPT (Committee for the Prevention of Torture), the OSCE (Organisation for Security and Co-operation in Europe), the EU to fulfil their legal and political obligations to act against the autocratic regime of Turkish President Recep Tayyip Erdoğan. Turkey is member state of the Council of Europe (CoE), the OSCE and a candidate for membership of the European Union (EU). Unfortunately, neither the CoE nor the EU or OSCE have taken serious steps to halt the spread of authoritarianism in Turkey. This is clearly seen in the silence of CPT and CoE concerning the inhumane acts taking place in Turkey’s prisons.